A Mid-Winter Customer Appreciation Day at the Movies! This Winter is Already Leaving Many Wishing For Summertime Sunshine! SO! 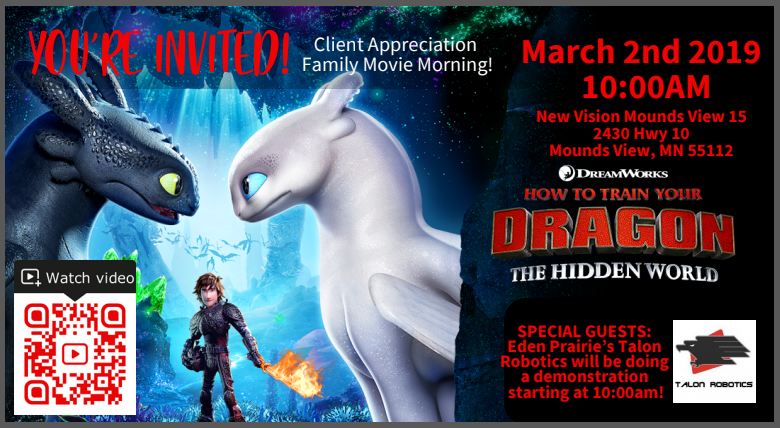 Lisa Ash from Keller Williams Realty Integrity Northwest, Maria Jondahl from New American Funding, and Trina LaForce with Liberty Title all want to treat you and your family to a little bit of fun on March 2nd at the New Visition Theatre in Mounds View! We’ll also be joined by the Eden Prairie Robotic’s Team, Talon Robotics, for a fun 1/2 hour demonstration before the movie! Watch For Your Personal Invitation to hit Mailboxes Soon!